In a nutshell: The iPad Air 2 is a thinner, lighter and more powerful replacement for the iPad Air. It's probably the best tablet you can buy in 2014. For a while now, we've found ourselves telling you each year that the new iPad is the same as the previous version, but slimmer, lighter and more powerful. The same is true again, and that's no bad thing. The price stays the same though. Here we're reviewing the 64GB Wi-Fi model, which we reckon makes the most sense, and it's priced at just under £500. You can imagine that the iPad design team chant this as a kind of mantra each morning. Whatever they do, it works. The new iPad Air is one and a half millimetres thinner than the previous model, making it an incredible 6.1mm thin. In the other two dimensions it stays exactly the same, but it's nearly 10% lighter. It feels just as strong as ever, thanks to its aluminium unibody. A fingerprint identity sensor is built into the home button. Rival systems are starting to appear on devices from other manufacturers, but we find the Apple version still works best. The screen size is the same as before. It's a 9.7 inch screen with a resolution of 2048 x 1536 pixels, which equates to 264 pixels per inch (ppi). It's very sharp indeed. It delivers greater contrast than previous iPad screens, with richer colours. Apple claims that it's the least reﬂective tablet display in the world. We really can't fault the screen or the design in any way. The device comes in a choice of Silver, Gold or Space Gray, and with matching covers too. 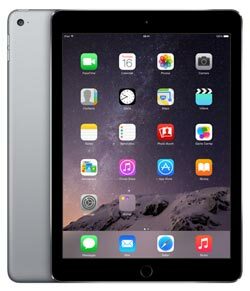 The first iPad Air was already very fast, partly due to its 64-bit architecture and the M7 coprocessor which handled all of the motion-related data. The Air 2 uses an even faster A8X processor and an M8 coprocessor. This improves performance by around 40%, and doubles the graphics performance. The RAM has been doubled up to 2GB. Generally speaking, the device is super-responsive in navigation and everyday tasks, and also has the clout to run the most demanding 3D games. The device comes with 16GB, 64GB or 128GB of storage, and the price varies considerably according to how much memory there is. We think that 16GB will be too small for most users, and 128GB too expensive. That leaves the 64GB version in the sweet spot. Whereas iOS 7 was quite a dramatic shift for Apple, the new iOS 8 is an incremental change, bringing several new features, but nothing huge. Built-in apps include iTunes, Safari, Apple Maps and Siri. The rear-facing camera has been upgraded to 8 megapixels. It's an impressive HDR camera, although video recording is limited to 1080p, and there are now 4K video cameras appearing in smartphones. But you don't (or shouldn't) buy a tablet to use as your camera. The front-facing FaceTime HDR camera has 720p video recording and can take selfies at 1.2 megapixels. 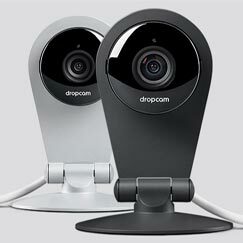 It's perfect for everyday video chatting and snaps. As well as deciding how much memory you want, you'll also have to choose between the Wi-Fi only version and the Wi-Fi plus 4G version. The latter includes 4G LTE compatibility plus 3G in addition to Wi-Fi. It's the same size and weighs just 7g more, but costs more to buy and that's before you factor in a 4G price plan. Other connectivity includes Bluetooth 4.0, a Lightning connector and a 3.5mm stereo headphone jack. Intriguingly, the battery size of the iPads keeps getting smaller. That goes a long way to explain how they keep getting thinner and lighter of course. The Air 2 has a smaller battery than the Air, which in turn had a smaller battery than the iPad 4. However, Apple claims that the battery life is unchanged at 10 hours, thanks to efficiency improvements in the hardware and software. Initial tests indicate that this is true and that the claimed 10 hours of continuous use is spot on. As S21 we like incremental improvements. If a design is good, don't mess with it, we say. Apple users will appreciate the sense of continuity when upgrading from an older iPad to the Air 2. You may find that it's not as exciting as if the design had completely changed, but very quickly you'll settle in and appreciate the slim form factor, reduced weight, and the sheer power of the device. 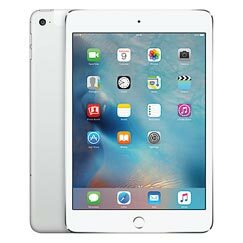 If you already have an Air, it's hard to justify the cost of the new model, but if you haven't upgraded for a few years, the iPad Air 2 will tick your boxes. There are cheaper options if you're willing to consider Android, and if you're willing to do this, we'd recommend looking at the very impressive Samsung Galaxy Tab S 10.5.